The meaning of the word beautiful has evolved dramatically in recent years, especially when it comes to hair — from the ancient Egyptians’ braided wigs to the Greeks’ unibrows and bleached curls. In medieval Japan, beauty was defined by long dark hair and high eyebrows. In Renaissance Italy, meanwhile, a big forehead and strawberry blonde hair was considered beautiful, so the women would bleach their hair and pluck their hairlines to get the look that society at that time, considered beautiful. Given this long and fascinating history of hair and beauty, it’s evident that a woman’s hair can have a powerful effect on how she feels about herself. Psychology Today notes that how a person feels can influence their looks and vice versa and although it’s ideal to think that inner beauty is more important, scientific evidence proves that an appealing appearance can impact a person’s life. A person’s sense of attractiveness is strongly connected to confidence and positive self-esteem. Often, people equate confidence with a feeling of being in control and being in charge of a person’s hair can make them feel confident. But why does a good hair day change the way we feel about ourselves? Apart from the fact that your hair frames your face, it also complements your facial features, from the color of your eyes to the shape of your nose and the height of your cheekbones. Many believe that when you look good you feel good; however, this isn’t solely about vanity—it’s about feeling prepared, confident, and ready to take on the challenges of the day. A study conducted by researchers at the Stanford Graduate School of Business has further shed light on how good hair days can give women an edge and greatly impact how they feel and present themselves. Dry air can cause your hair to be more prone to frizz, while humid seasons can encourage more curl or bounce. This means you need to make sure you pay attention to the weather forecast so you know exactly which hair products to use. Here at Garbo’s Salon and Spa, we recommend a moisture-rich shampoo (like our Argan Anti-Frizz Shampoo) for dry hair and an anti-frizz conditioner (like our Anti-Frizz conditioner) for hard-to-tame tresses. Getting your hair trimmed regularly can help prevent split ends from traveling up. If you have short hair or textured cuts, you need to make sure you cut your hair every six weeks. For long and curly hair, getting a trim every three to four months can help keep your hair healthy. Choosing a style you’re comfortable with does not only apply to your hair, as it can also work in tandem with your makeup, clothes, and even your shoes and accessories. Wear a hair length you’re comfortable in, a shade of makeup you feel confident with, and a pair of shoes you won’t want to take off. When you feel comfortable with everything you have on, your self-esteem and confidence will follow. Body positive retailer Woman Within highlights how it’s important not to match your body with a certain number size or trendy style, but to approach it the other way around. Confidence and beauty should be less about numbers and trends, and more about comfort and staying true to yourself. It’s a good thing, then, that there are more style options available now, and that we’ve moved past rigid beauty standards adopted as far back as the ancient civilizations that came before us. At the end of the day, how you feel about yourself is more important than what others say. And if a good hair day boosts your confidence and makes you feel more empowered, then your locks are definitely your crowning glory. https://garbossalons.com/wp-content/uploads/2019/01/Three-gals-having-a-good-hair-day.jpg 594 476 Maddie https://www.garbossalons.com/wp-content/uploads/2016/10/Garbo_logo-300x98.png Maddie2019-01-31 12:45:352019-02-13 13:07:21The Science Behind "A Good Hair Day"
What are sulfates? If you’re like me, you probably have heard the term “sulfate free” before. But after I was done washing my hair last night it dawned on me… do I even know what that means? Nope. I don’t. Therefore, I went researching to see if I could get a better understanding of why so many brands are removing sulfates and what it means for our hair. Read on to learn more! Sulfates are a combination of molecules that attract water and oil – they are also the reason for the foaming lather we have come to expect from a shampoo. Basically, because they attract water and oil they can pull the dirt and oil from our skin and hair allowing us to rinse it off and wash it down the drain. Are they bad for me? Not necessarily… There is no evidence that these molecules can cause cancer or any type of health problem. However, because sulfates are so good at removing the oil and dirt from your hair and body they can sometimes remove too much. Sulfates are aggressive cleaners. They can strip the hair of the natural oils and proteins that are needed to keep it looking and feeling healthy. The stripping of proteins can also lead to your color fading, any smoothing treatments you’ve had done to become less effective and overall dry out and break the hair shaft. 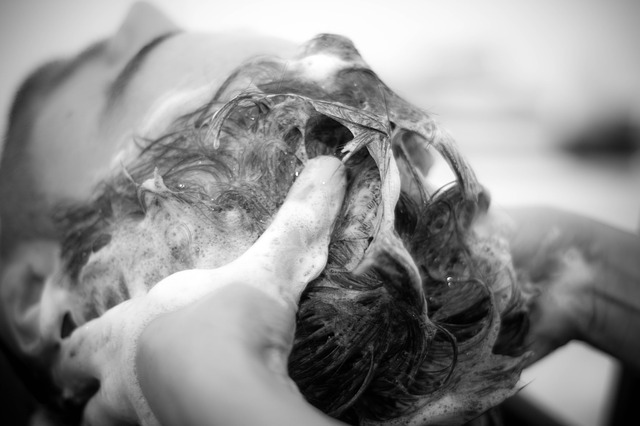 Why do Salons Recommend Sulfate Free Products? If there are no health risks then why do our stylists always seem to recommend products that are “sulfate free”. 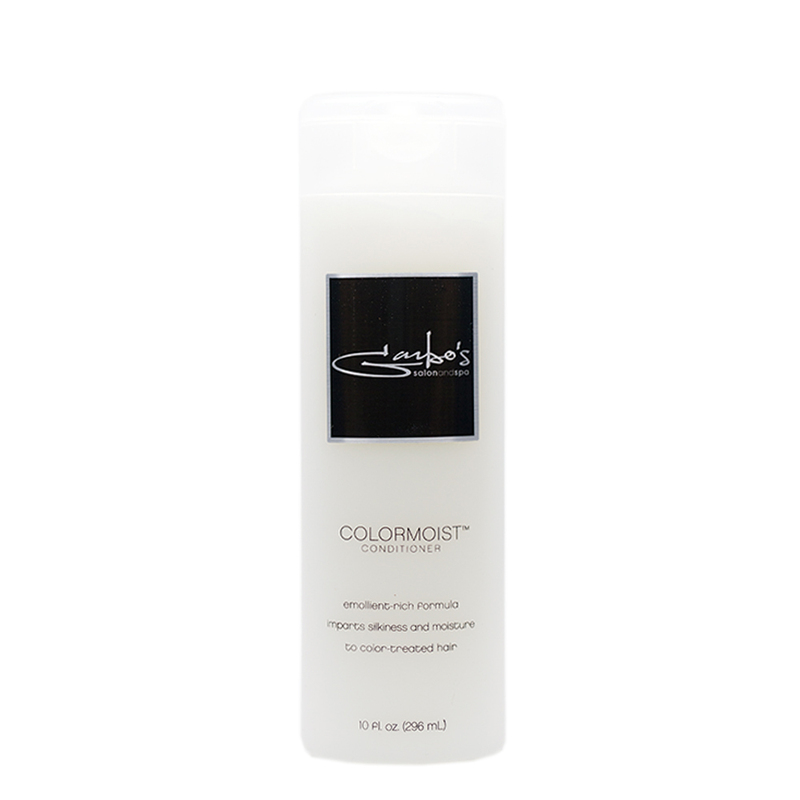 Well, if you just received a color treatment, if your hair is prone to dryness or if your ends are pretty damaged then using a product with sulfates in it could lead to more damage. Your stylist wants you to be happy with your hair long after you leave the salon. By recommending a product without sulfates they can be sure your hair will stay healthy until the next time they see you. If you have been slow to get on the “sulfate free” train, its okay! If your hair loves what its getting right now then stick with it. However, if you find your strands to be a bit more damaged or dryer than you would like them to be, consider switching over to a product that doesn’t use sulfates. Garbo’s own haircare line was designed around the idea of leaving the hair softer, smoother and healthier than before it was applied. Thats why you won’t find sulfates in Garbo’s own line. Here are a few products from the Garbo’s line that we recommend – all of them can be purchased online through our shop! Hopefully the whole “Sulfate Free” thing makes a bit more sense now. Still have questions? Please leave them in the comments box below! https://garbossalons.com/wp-content/uploads/2018/09/shampoo-1668525_640.jpg 426 640 Maddie https://www.garbossalons.com/wp-content/uploads/2016/10/Garbo_logo-300x98.png Maddie2018-09-19 16:47:332018-09-20 16:34:26What are Sulfates?